6 Connecticut Society of Genealogists, The Connecticut Nutmegger, 2000, Vol. 33, Page 18, New England Historic Genealogical Society (Online Database). 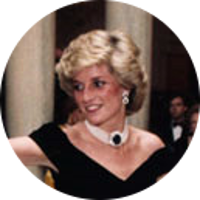 7 Evans, Richard K., The Ancestry of Diana, Princess of Wales , Boston: New England Historic Genealogical Society (2007), 5. 8 Kidd, Charles, Debrett Goes to Hollywood, New York: St. Martin's Press (1986), 122. 9 Roberts, Gary Boyd, The Royal Descents of 600 Immigrants to the American Colonies or the United States , Baltimore: Genealogical Publishing Co. (2008), 578. 12 Roberts, Gary Boyd, comp., Ancestors of American Presidents , Boston: New England Historic Genealogical Society (2009). 14 Wikipedia, "John Spencer, 8th Earl Spencer", (accessed 03/31/2011).